Shopping for a new Subaru Legacy? The 2019 Subaru Legacy Sport is sporty in looks only. The best value here lies in the mid-level Premium trim level. It’s hard to be an underdog in an unappreciated market. Just ask the 2019 Subaru Legacy, the mid-size sedan that does almost everything right yet barely registers a spot on most shoppers’ lists. 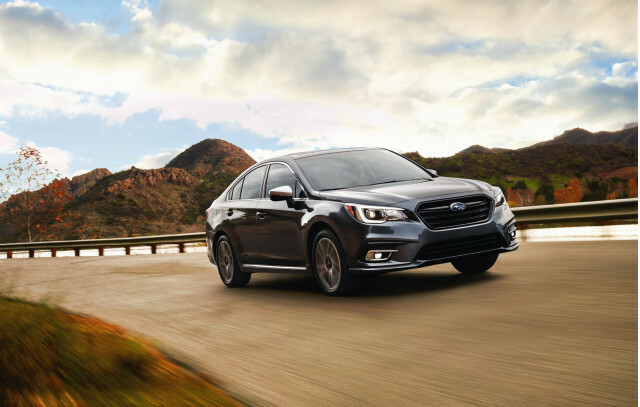 With the 2019 Legacy, Subaru has made its four-door sedan even more desirable by making automatic emergency braking, active lane control, and adaptive cruise control standard fare across a lineup that includes base, Premium, Sport, and Limited trim levels. The newly standard crash-avoidance tech joins a vehicle that has earned crash-testing accolades from the IIHS and the NHTSA. 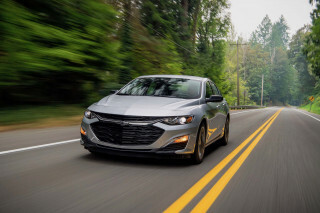 Underhood, most Legacys roll out of the automaker’s Indiana assembly plant with a 2.5-liter flat-4 rated at 175 horsepower, although a 247-hp flat-6 is on the options list. All Legacys are aided by a smooth continuously variable transmission (CVT) that makes the most of what’s on tap. Even with its standard all-wheel drive, the Legacy earns decent fuel-economy figures: 25 mpg city, 34 highway, 29 combined with the base engine. That all-wheel drive also helps the Legacy feel sure-footed on any kind of road in just about any condition. No model is especially entertaining, but all go about their business with an confident feel augmented by little road noise and good straight-line highway tracking. Inside, the Legacy has good room for five passengers and a convenient, if uninspired, dashboard design. A 6.5-inch touchscreen for infotainment is standard, but most Legacys use instead an 8.0-inch touchscreen with crisper graphics and available navigation. Apple CarPlay and Android Auto are standard on all trims. Even with its all-wheel-drive system taking up some trunk space, the 2019 Legacy boasts a 15.0 cubic-foot trunk. That’s on par with the new Toyota Camry, if a cube or so behind the latest Honda Accord. Something of a wallflower, the 2019 Subaru Legacy is inoffensive inside and out. Unlike its Outback stablemate, the 2019 Legacy is light on personality inside and out. Its exterior doesn’t push the limits, but is simple and almost upscale when draped in Sport and Limited trims with their dressier wheel designs. The 17-inch steel wheels on base Legacys look a little downmarket, though. Inside, the Legacy’s dash eschews the angular, contrived look favored by so many rivals. Instead, it puts its 6.5- or 8.0-inch touchscreen displays high on the dash, with controls mostly grouped below or to the left of the steering wheel. Simple beige and gray interior hues adorn most Legacy sedans, although the Sport trim level has a mesh-like fabric. All trims but the base Legacy feature contrasting stitching across their dashboards that helps enliven things a little. Don’t look for the 2019 Subaru Legacy to raise your pulse, but this sedate, smooth-riding sedan imitates a luxury car well enough. 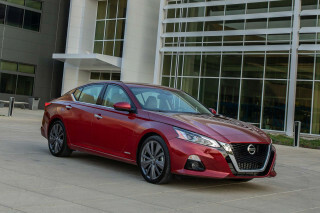 The vast majority of Legacy sedans feature a 2.5-liter flat-4 rated at 175 horsepower and 174 pound-feet of torque, although a 3.6-liter flat-6 with 256 hp and 247 pound-feet is optional on the Legacy Limited trim level. Both engines pair a continuously variable transmission (CVT) to all-wheel drive. The base engine delivers adequate around-town punch augmented by snappy throttle tuning that can take some getting used to. Highway passing isn’t this engine’s forte, although the CVT does its best to prevent the rubber-band effect that once characterized these transmissions. Simulated gear steps give it a convincingly conventional automatic transmission feel. The optional flat-6’s transmission behaves just as well with the added benefit of more confident power. Linear, direct steering and ample grip help the Legacy feel almost entertaining on a twisty road, but we wish the Legacy Sport trim level had some suspension differentiation. Its 18-inch alloy wheels mean it rides mostly like the range-topping Limited with its upgraded suspension dampers. On the highway, the Legacy settles into a comfortable cruise, with a subtle on-center dead spot for its steering and only a hint of wind rush thanks to extensive sound deadening upgrades last year. The 2019 Subaru Legacy has ample room inside and an upscale feel for its price tag. All but the base Legacy feature a 10-way adjustable power driver’s seat. The passenger’s seat is manual on most models and power on Limiteds, though it lacks height adjustment. Regardless, the seats have unusually long bottom cushions that provide good long-distance support. The standard cloth upholstery on base, Premium, and Sport trims feels good, but the leather on Limiteds doesn’t feel as soft as some rivals. Rear-seat riders have great stretch-out space and the Legacy is wide enough to accommodate three-abreast riding. Rear-seat air vents and a heated rear bench are restricted to only the Legacy Limited trim, however. The Legacy’s rear seat folds in a 60/40 arrangement and the 15.0 cubic-foot trunk is surprisingly roomy for a mid-size sedan with all-wheel drive. More standard safety gear this year augments already impressive crash-test scores for the 2019 Subaru Legacy. Only its lack of advanced self-driving safety gear keeps it from a perfect score. All Legacys now include automatic emergency braking, active lane control, and adaptive cruise control in addition to eight airbags, stability control, and a rearview camera. Blind-spot monitors are standard on the Limited trim and optional on all but the base Legacy. 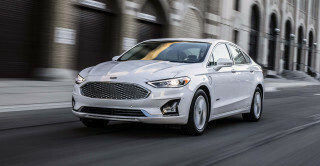 Caveat: our score here is based on the 2018 model since the 2019 Legacy hasn’t been rated by federal or independent testers. We’ll update this space when that happens. The NHTSA rates the Legacy at five stars overall, including top marks in the calculated rollover test. The 2019 Subaru Legacy is well-equipped for its price point and can be downright luxurious in Limited trim. For about $23,400, the base Legacy includes a 6.5-inch touchscreen for infotainment, Apple CarPlay and Android Auto, all-wheel drive, active-safety tech such as automatic emergency braking, and power features. Alloy wheels run $350 extra. The most popular Legacy is the Premium trim, and it’s easy enough to see why. For $25,600, it builds on the base with alloy wheels, a 10-way power driver’s seat, heated front seats, an 8.0-inch touchscreen for infotainment, automatic climate control, auto-dimming rearview mirror, woodgrain interior trim, and a leather-wrapped steering wheel. A power moonroof, blind-spot monitors, navigation, and LED headlights with automatic high-beams are included in a choice of three option packages. Our recommendation is to stay frugal with the $850 package that pairs blind-spot monitors with rear cross-traffic detection, automatic high-beams, fog lights, and turn signals integrated into the rearview mirrors. The Legacy Sport doesn’t really live up to its name, although unique styling and 18-inch alloy wheels help it look a little zestier and blind-spot monitors and keyless ignition are a nice added feature. We’re not convinced that it’s worth its $27,700 price tag, which can grow by about $2,150 with optional navigation, moonroof, and reverse automatic braking. Topping the lineup, the Legacy Limited costs about $30,100 with the 4-cylinder and about $32,400 with the optional flat-6. It adds leather seats, heated rear seats, rear-seat climate control vents, Harman Kardon speakers, and a few other goodies. A moonroof, automatic high-beam headlights, and navigation are bundled together in a $2,150 package, but the priciest Legacy stays under $35,000. The 2019 Subaru Legacy’s all-wheel drive imparts only a modest fuel-economy hit. The standard 2.5-liter flat-4 is rated at 25 mpg city, 34 highway, 29 combined according to the EPA. Opting for the available flat-6 dings those figures to an unimpressive 20/28/23 mpg. No hybrid version of the Legacy is available, unlike rivals from Toyota, Honda, and Ford. At least all Legacy sedans run on regular unleaded fuel. Calling the styling of the Legacy "boring" is highly subjective. The Legacy has as much interior room as any in its class- far better front and rear visibility for drivers- is more compact than most- and with... Calling the styling of the Legacy "boring" is highly subjective. The Legacy has as much interior room as any in its class- far better front and rear visibility for drivers- is more compact than most- and with the increased weight, Boxer engine low center of gravity and AWD- a command of the road in all conditions- that easily beats its competition. 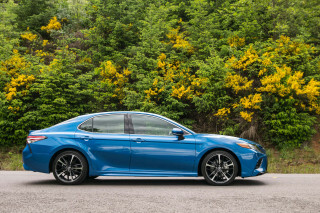 As for its power- the smooth responding CVT brings it all out- as opposed to say the new Camry- where the transmission is more of a boondoggle- strangling its 200 HP engine. 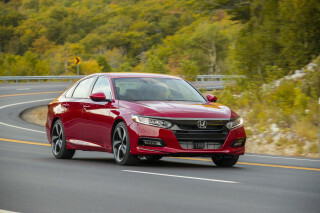 But like the Camry the Legacy's transmission tries to save on the fuel economy- however while the Legacy's fuel economy is OK- it is bested by many FWD's in the mid-size class- including the Camry and Accord. Safety is not a nice to have- but a fundamental design philosophy- and here the Legacy has no peer in its class. AWD, Eyesight, braking, responsive handling, etc are standouts in it class. And again, its' engine power- perhaps not enough for environmentally indifferent lead foots-for the rest of us-is more than adequate. Truthfully- while flooring at 0-60 is average at best- the car feels powerful when accelerating steadily or accelerating while moving at any speed or inclination. The Legacy is in fact a standout in its class, putting fuel economy aside. Reviewers have a tough time recognizing its virtues since affordable AWD is a rarity in its class- its styling while dignified is not showy and its virtues show up when you need it most- not on a casual test drive.